Clutter seems to just… happen, doesn’t it? One day your home is new, you’ve just moved in. Everything is perfect. You unpack your belongings, put everything just so, and ta-da! Your home is decorated, organized, and great. You turn around a week later and can’t find anything. And the closets are bursting at the seams. Well, you brought in more items to your home than items you removed. It’s a simple addition and subtraction equation. But you probably knew that… how do you fix it? You don’t know what you have until you do an inventory. That means going through your home and figuring out exactly what it is your own. I don’t recommend doing this all at once lest you be driven to insanity. It usually helps me to do it a room or even just a closet at a time. Note: An inventory is also helpful for your insurance coverage. As you go through each room, make sure to take note of valuables for insurance purpose. As you’re doing your inventory you are likely to run into items you know you can’t or won’t use. It might be that shirt from last year’s bad breakup or a pair of pants that don’t quite fit anymore. When you find these items go ahead and put them in a bag for selling or donation. Don’t add them to a list with the intentions of coming back to them. That’s too much hassle and you will forget. Go ahead, in the moment, while you’re thinking about it, and delegate the item to one of the two methods of getting stuff out of your house. The methods of selling your stuff are varied: you can try eBay or Amazon for worthwhile items like electronics, consignment shops for kids clothing, and so on. You can also try putting on a successful garage sale — just be sure to invite your neighbors and friends to attract a bigger crowd. That which you don’t sell goes straight to the local donation center. Just make sure you keep good documentation (often needing photos for a donation over $500 in a year) and be sure to get a receipt. But what about those other items? Take a long hard look at them. If you haven’t used them in 12 months, get rid of them in some way. It’s easy to think “Oh! Yes! I have been meaning to look for this! I promise I’ll use it soon.” And then it sits for another year losing even more value. If you haven’t used it in 12 months it is unlikely you’ll use it in the next 12, get rid of it. Inevitably you will find items that you bought with the full intention of using. Nonetheless they’ve sat on the top shelf of the closet, worthless. Your emotions play with you and you’re convinced you will use this item sometime soon. You’ve already tossed a lot of stuff, so you justify that this, and this, and that over there get to stay. That’s fine if you leave it be, but I challenge you to create a list and put a reminder on your calendar to do this again in a year. List out all the things you kept with the intention of using. 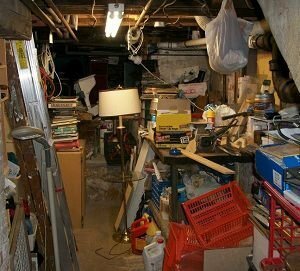 Then check back in 12 months to see how many of the items you thought would you use were left on the shelf untouched. Then grab a garbage bag and run through the above process again. The donation center is waiting. Should You Ever Donate Your Vehicle to Charity? This is a good rule to follow, one I try to use myself…except for the fact that I find it hard to shake the feeling that as soon as I get rid of the thing in question, I’ll find myself needing it again at some point in the future. Still, there are others in need, and there’s no use holding on to something that someone else could use even more, especially when you haven’t used it for a year, or in my case, several years!